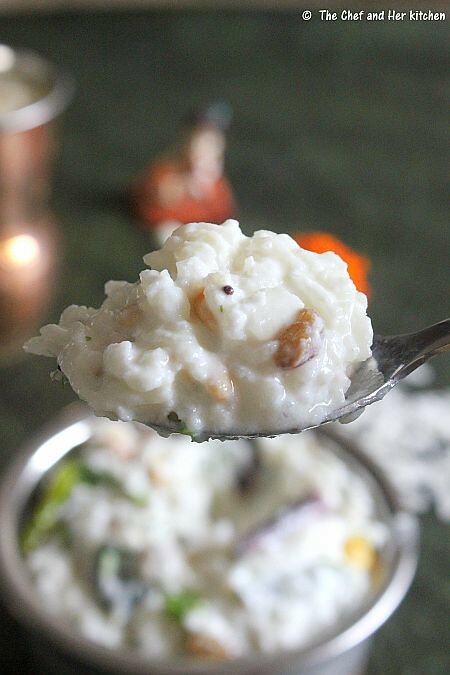 Mosaru Avalakki is nothing but flattened rice soaked in seasoned curds.As we prepare mostly poha based recipes for Krishna Janmashtami,I have prepared this for that festival last week.It is a simple recipe and does not require much time other than the soaking part.This recipe is apt even on the days of fasting, as it is quite filling and also is a good substitute for rice.I have prepared this in a manner similar to the preparation of curd rice using poha instead of rice. It is a simple,tasty and filling recipe. Clean and wash poha and remove all the water and let it sit for 7-8 mins.As we are using thin poha it does not need much water to get soaked.If you are using thick poha add some water while soaking it. 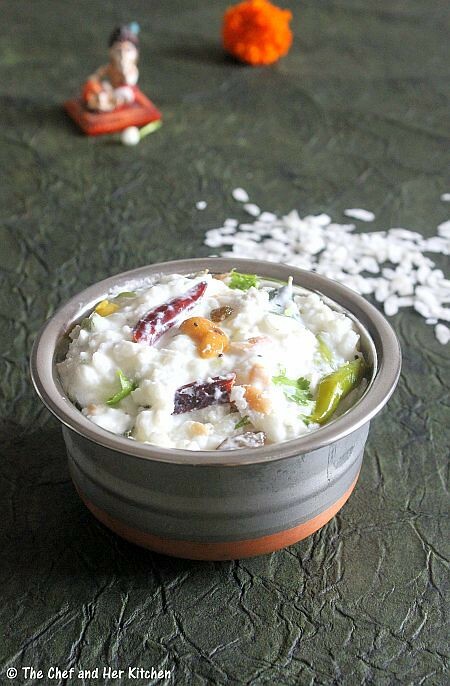 Beat curds nicely with salt and add to the soaked poha and mix gently,otherwise it would become mushy.If you need more curds to mix it feel free to add acccording to your wish.Keep this aside again for 10-12 mins. Heat oil in a small kadai and crackle mustard seeds. Add chana dal,urad dal and fry until they turn slight red in color. Add slit green chillies and fry until you see blisters forming on them. Add red chillies,curry leaves,cashew nuts and raisins(if using) and fry for a minute.Switch off the flame and let it cool. Add coriander,grated fresh coconut and fried tempering mixture to the soaked poha and mix well until everything is mixed. Chill it for some time and serve it. It gets thickened if kept for long,so add more curds if needed to it while serving.Accordingly do not forget to add salt. You can add pomegranate kernels or chopped fresh grapes instead of raisins in the recipe or totally avoid it. If you want to serve it later keep it refrigerated until needed. 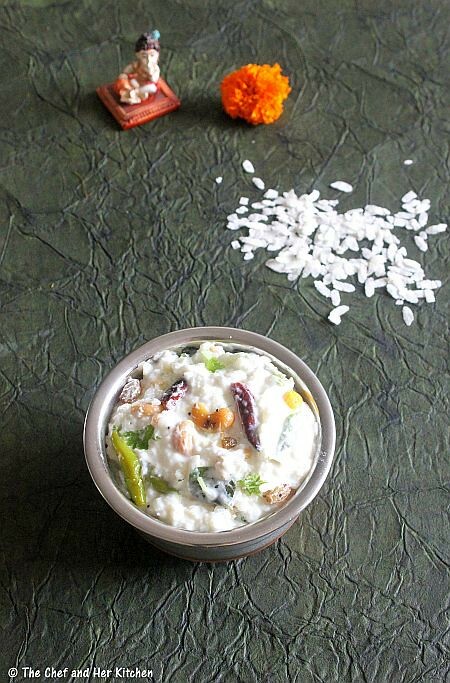 Lovely clicks and a easy to make fantastic recipe. Never tasted perugu atukulu .. 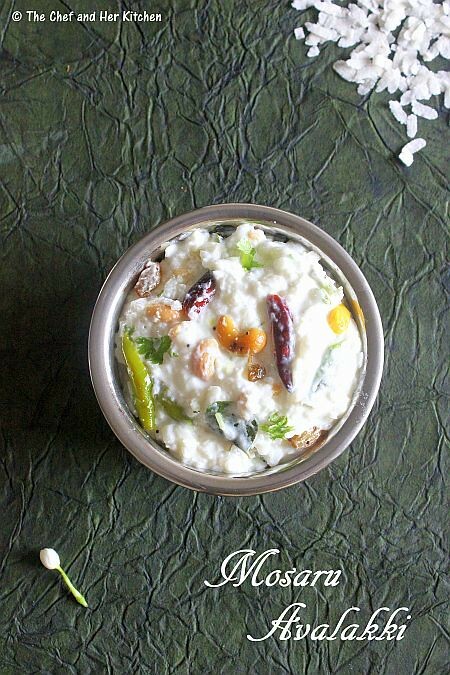 This is so similar to curd rice. 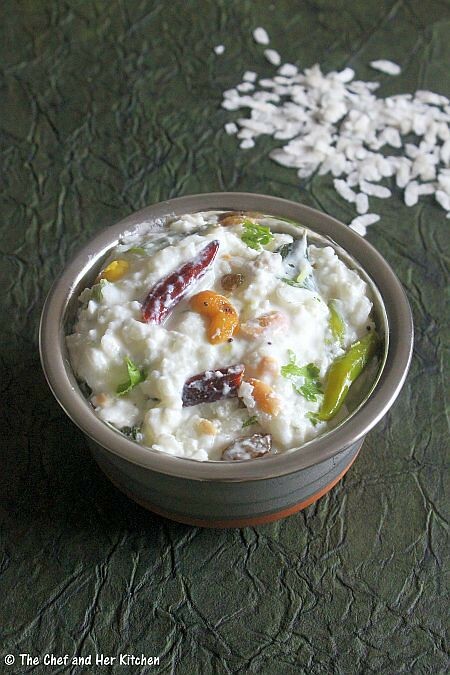 I love curd rice, but I've never tried it with poha. Love the idea. Whenever I make Masur avalakki its just masur and avalaki maybe a little coriander or green chilli. Must try this delicious masur avalakki. Slurp, yummy mosaravalakki for the baby krishna. never had this but looks really comforting n cooling.